Have you been delaying the decision to invest in a video for your business, allowing the learning curve or cost to hold you back even though you know that video marketing is where digital marketing is heading? Because digital or internet marketing is growing in popularity, and if you are a small business owner, who do not want to spend a huge amount of money and time on other marketing sources. 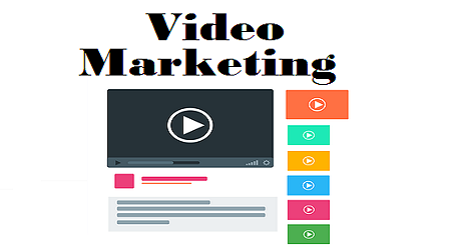 Then video marketing is very much beneficial, and video sharing websites create a huge marketplace which you can use to target an area specific audience. Video marketing is a quick method to explain your products and services or brands to your potential customers. When you do video marketing, people are more likely to believe in your products and services, because we believe what we see. When you create and publish your videos on different news and media sharing websites, you can target and bring your potential customers and provide information to a large audience throughout the globe. 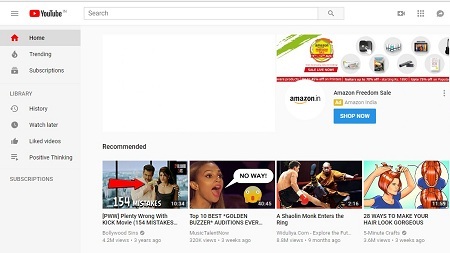 Most popular video website the YouTube alone gets more than 7 billion viewers each day and there are other video sharing websites where you can share and publish your videos too. So, before doing video marketing, you have to make videos and publish and distribute. You should always make well-structured and always keep in mind your marketing strategies so that your customers do not feel it as an educational video. You should not make your videos too long or too complicated but should make it promotional and understandable. Most experts suggest that videos that are around 2 minutes or short enough to keep a customer’s attention, but long enough to get the point, what you are trying to say. If you want to make videos that are long or you have to say a lot, the try to divide your video into smaller clips. You must always clear out what you are exactly trying to say to your customers or viewers and should make your content clear, informative and interesting so that your viewers stay in touch. It is a good practice if you make a single video and distribute it across as many different sites as possible. These increase the chances that your video is going to be viewed by your potential customers. As more of the people watch your video the more your products and services or your brand will create awareness among the people. There are many places where you can publish and share your videos like on YouTube, Flickr or Viddler. These are specialized sites that are directly related to your target audience. You can also use online directories and portals and can target the people who will eventually become your customer. 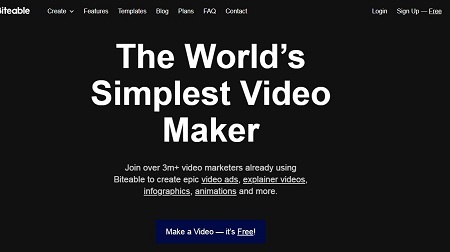 You can also use your videos on your own websites or for your email marketing and digital newsletters campaign as well. When setting a video marketing campaign and publish videos. Search engines such as Google index your videos really very fast and are often displayed near the top of the first page of search results. Which will put your videos and ultimately your website in the prime position to be viewed by the people. So, it is really very important to include related keywords in your titles, descriptions, and links to your videos and this will help in search engine optimization for your website too. When you make videos and your videos are really entertaining and what your viewers are searching for, you can immediately spread more around the internet very quickly. Your video will have the best chance of going viral if it is daring, dramatic or funny. So, you have to choose between a viral and a standard promotional video before you make videos and should always think that, is this video will bring traffic to my website and will inspire and turn them into customers. When you do video marketing, it is not like that of an advertisement on TV, where most people simply change their channel and avoid the advertisements. People who search for the keywords that you have made the video are really and genuinely interested to watch and hear what you have to say to them. So, it is always important to research before you create videos. When you make an effective video, you create interest and provide an easy way for your viewers to reach back to you, and it also helps you to increase your website traffic, which will ultimately increase your sales. When you make promotional videos, people get extremely affected and engaged and also helps them to put a face to your business. They are particularly useful if your product or service is complex because posters and packaging often give you too little space to explain them fully. By adding links to your official website in your video descriptions, you can significantly increase the site’s traffic. It is a good idea to consider carefully which page of your website the link should send people to your website the link should send people to. For example, landing pages sales pages or you’re about us pages. Video marketing is an increasingly powerful advertising tool that will not only boost your sales but will also improve the public opinion of your local business. However, for inexperienced owners. With these tools, you can make high-quality, professional videos with ease, even for total beginners. In fact, you don’t even need a camera for many of them because they provide stocks of footage and pre-made animations. And the best part is since these are all browser-based programs or they run in the cloud, which means you don’t have to install or download anything beyond a web browser. 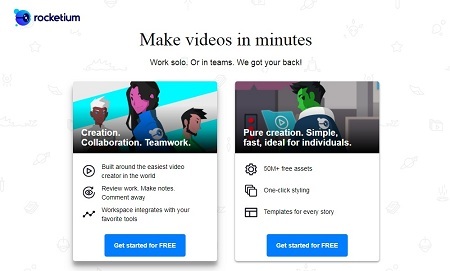 Animaker takes all the heavy lifting out of motion, design and allows you to customize characters and animations to create your own unique video. Biteable is a handy little tool that allows you to tweak templates with stock footage and effects. Looster is a scaled-down editor, and if you have ever used iMovie or Windows Movie Maker Loopster is essentially the same thing and it runs in the browser. 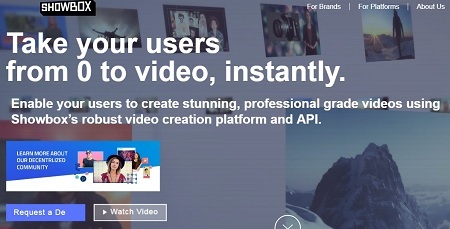 Moovly allows you to use its templates, animations, graphics and more to create custom video presentations. If you want to create a popular doodle marker effect that you see in a lot of whiteboard videos and explainers, you can do that with Moovly. Render Forest is pretty versatile and helps you to create everything from a short animated logo intro to all the way to full-fledged business video. There are a lot of great things about this tool, but I think my favorite feature is the pixabay integration. If you don’t know pixabay is a source for a book domain footage so basically, a video that you can use however you want. Show Box is a uniquely powerful tool that allows you to create videos with a very produce look. If you want to remove your videos background and replace it with something else you can do that with Show Box. Wevideo is like Loopstir and then it’s basically a traditional editing workspace in the browser. It’s a drag and drop interface that makes things pretty simple. YouTube editor allows you to combine multiple clips create a cohesive video complete with music and special effects. I hope this guide and the free online video editing and animations tools will lead to video production for your business. It is indeed a great article and is very clearly illustrated and explained. Nice job keep updating with such cool marketing tips. Thanks Steive that you found my tutorial helpful.